Noida, (11/2/2019): When it comes to elections, Uttar Pradesh becomes the most active state to get started for the elections. Political Parties do everything to win the seat. 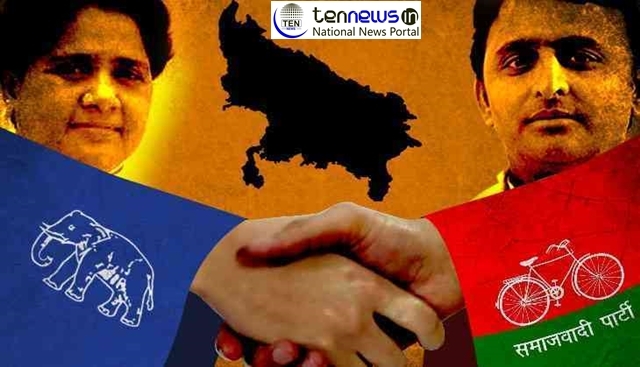 Last month, Samajwadi Party and Bahujan Samaj Party, the arch rivals of Uttar Pradesh politics, join hands. The two parties united to fight against BJP. In the region of Noida, which is probably the treasure for everyone, BJP holds a strong support from the public. But what should be kept remembered is that BSP does have a good history in winning. But in Lok Sabha Polls of 2014, the ‘Modi Leher’ takes everyone with it and sits on the top of everyone. Now after the Gathbandhan of SP and BSP, a meeting was held in sector 35 Morna Village in Noida which decided that BSP’s candidate will fight against BJP and Congress in the upcoming general elections. Both SP and BSP will contest 38 seats each as a part of the seat sharing agreement. While the name of the BSP candidate for Noida is yet to be announced, SP urged all its party cadres to strengthen booth level work as well as embark on awareness drives across the district. SP District President, Bir Singh Yadav, who led the meeting said, “we have been told that the Noida Lok Sabha seat will be given to the BSP, keeping with the seat sharing decision of the SP-BSP coalition. We have unanimously decided to support the decision and ensure the victory of BSP candidate from Noida. On the other hand Congress already have played its card by bringing Priyanka Gandhi in the politics. But the people who are responsible for making them win in the elections through their vote, are still hoping to get what they want. Promises are made every 5 years but the needs of the public are never fulfilled. PM Narendra Modi inaugurates 13th International Oil and Gas Conference Petrotech 2019 in Greater Noida!